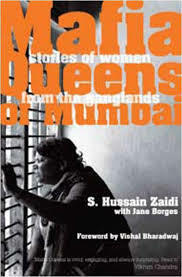 This book is a fascinating collection of true-life stories of women gangsters who lived and worked in Bombay. 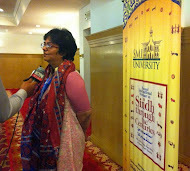 The author, S. Hussain Zaidi, was a crime reporter for decades and some of his books have been made into movies. Not all the mafia queens in this book have blood on their hands. Jenabai, the elderly Muslim woman who somehow acquired the same name as a thirteenth century (Hindu) Marathi poet, made her biggest and most damaging impact because she was able to influence another powerful gangster with her strategic thinking. Then there was Gangubai, who was lured into prostitution by a young man with whom she eloped and who, instead of marrying her, sold her to a brothel. 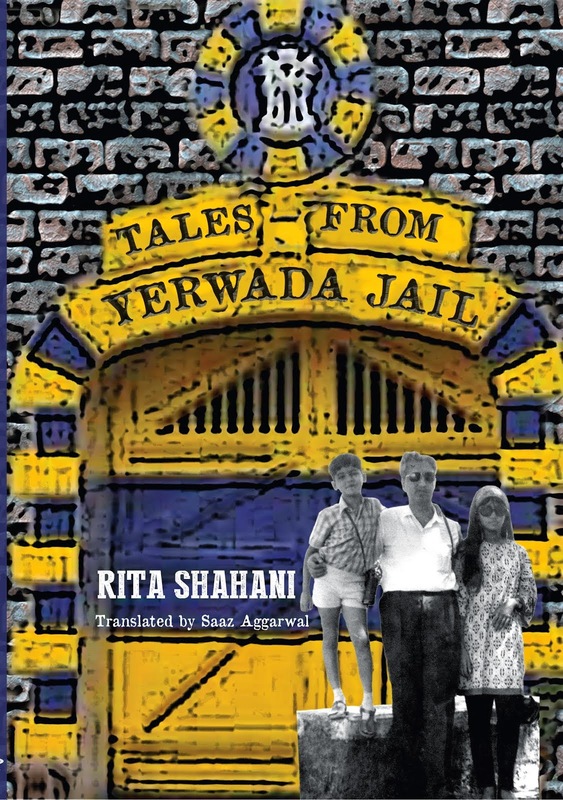 Gangubai rebelled by first developing a reputation for the highest skills of her trade, and later by rescuing other women from the trap she had fallen into, if she felt they were not cut out for life in the cages of Falkland Road. She became a public figure, and campaigned for the need for a prostitution belt in all cities. Some of these female gangsters were drawn to their profession by dire economic circumstances and some enticed into it by exploitative males. Some are symbols of glamour; some admirable for their courage and nimble thinking. I was lent this book to read by a friend who is a police officer more than a year ago. That turned into a year in which I did not read many books at all. Eventually, I read it aloud to Gladys. It turned out to be a quick read and, though a teeny bit raunchy at times, we both enjoyed it. One problem with reading a book aloud, though, is that the proofing and editing flaws stand out. I may not have noticed the many colloquial expressions and common clichés of Indian newspaper crime-reporting that this book is strewn with if I had just been reading it to myself. Another thing I wondered about was the extent of detail in the book: was it fictionalised or was every setting recreated from what was told to the author in an interview? I tried to contact S. Hussani Zaidi to find out, but was unable to. I’m lucky to have history professors for friends, and one of them sent me this book as an example of what a biography could be. 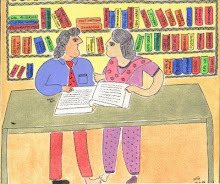 When I started reading, I was compelled by the simple, emotional narrative of an elderly woman writing her memories of her father’s life, an excellent translation from Marathi. By the end of the book, however, I realised that it was the content and the way it was presented that had most impressed me. Kharemaster was an unusual person for his time because he made sure that all his children got educated. At a time when Hindu girls were ‘married off’ at the age of eight or even younger; a time when for even a boy to complete high school and be ‘matriculate’ was the privilege of very few, he was determined that his daughters would get a university education. When they were little, he worked with them himself, developing their awareness and giving them knowledge about the world. As they grew older, he went to great extents to find ways for them to get the best possible education. Still, the book is not a hagiography. Kharemaster’s faults and weaknesses, and in one case a rather shocking incident, are presented with the same warmth and confidence as every other aspect the book covers. 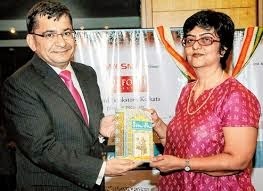 Vibhavari Shirurkar was in her eighties when she wrote this book. All her life, she had written books about the women around her, and these naturally revealed the ways in which they were exploited and dehumanised by the norms of society. The books were admired but they were very controversial. Right from the first one, they were written under a pseudonym. Though she did reveal herself early on, perhaps retaining the pseudonym as her brand, this book goes further. It is not just the biography of Kharemaster but also a complete exposition of the identity of the well-known Marathi litterateur Vibhavari Shirurkar: Balutai, one of the daughters of Kharemaster, and the circumstances in which she grew up and became the person she became. The story starts with Kharemaster’s own writing, notes from his diary given to Balutai by her mother after her father dies. Then, influenced by an old friend of her father, Balutai takes a decision to write the book by projecting her imagination into the events she remembers and trying to interpret them in her own way. This is a device that works very well, except (to my mind) in one place. Towards the end of his life, Balutai depicts her father as lonely and depressed, preoccupied with feelings of rejection. I did feel that this particular projection might have resulted from feelings of guilt and regret this sensitive woman felt for her parents and their needs, and the conflicting pressures of her own life which prevented her from giving them the attention and care they may have craved. Maybe Kharemaster wasn't all that lonely and depressed after all, maybe he spent his last years in the glow of silent achievement, knowing that all his children were well-off and well settled because he had made sure they got well educated. One of the things I enjoyed most about this book is the skilled depiction of life in those days, and I learnt a lot: a deeper understanding of the way women were perceived and their own perceptions of themselves; the relevance of caste in society; the human angle of religious conversion, and much more. It was interesting to know that, during the First World War, young Indian men were kidnapped and sent by force to join the British army. It was also interesting to see how the emergence of women as individuals made marriage more difficult because it took an unusual man to accept that perception. Modern and educated young Indian men and women today are rejecting marriage, refusing to enter into a contract that forces them into traditional roles that they cannot and will not fulfil. It was a movement that began with the dedicated actions and sacrifices made by rare people like Kharemaster. As a piece of contemporary literature, there are many aspects to Hadal. First and most basic, it may be admired for its unwavering plot and its lifelike characters, presented in a manner which keeps the reader engaged. As such, it could easily find its feet in a burgeoning marketplace of newcomer readers whose tastes may be ready to move on from Ravinder Singh and Chetan Bhagat. 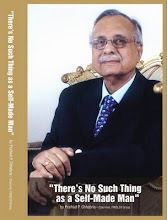 Second, as its author, CP Surendran, acknowledges, the book is not pleasingly exotic or prettily clever and correct. It is inspired by a true story: the story of an Indian rocket scientist falsely accused of selling secrets of the Indian space research programme. Also, one of its main characters is a confused, wishy-washy, inappropriate role-model, victim of a woman. For a publishing industry grappling with self-esteem issues since historic times (and one whose decision-makers today are mostly women), it marks a kind of coming-of-age to have let through an important book without a ‘wow!’ theme and with such a character. 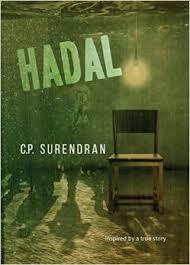 Another aspect of Hadal is a fabric of fundamental common-sense backed by a weft of satire. Located in Kerala, it has coconuts, street and pet dogs and a wannabe tourist industry. There is an evil nuclear power plant with a foreign do-gooding activist, who tries but is unable to convince young people that basket-weaving and the idyllic village life is the way forward. Another of Hadal’s main characters is a rocket scientist – what could be sexier than someone who understands everything – and he turns out to be someone with a deep, fundamental instinct for what women want. Ironically, he will only learn, too late, that there are things fathers should never do so that their sons could be happy. This book shows us that dreams are real – why else does your heart continue to pound at the mere hologram of a few mis-matched memories? Shadowy women characters determinedly express their individuality. Villainous men (men addicted to cough syrup) come undone by their deep love for and dependence on their mothers. A teenager feels complete, and with his well-lived life behind him, is all set to welcome death. An elephant recognizes his mistress eight years after she, having fallen on lean days, had sold him to a temple. While having a gentle dig at the self-righteous mental health professionals of a certain Nordic country where Indian parenting has been considered lacking, Hadal exposes how we, as a people, have yet to come to terms with adoption. This vigorous and colourful context comes to the reader in short, powerful sentences that conjure up striking portraits and landscapes. Then, all of a sudden, unexpectedly, the territory transforms. Abyss, whirlpool, torrent … dramatic, self-indulgent, exquisitely beautiful … a dancing panorama of sentences unfolds. It turns out that the author of this novel is a poet. 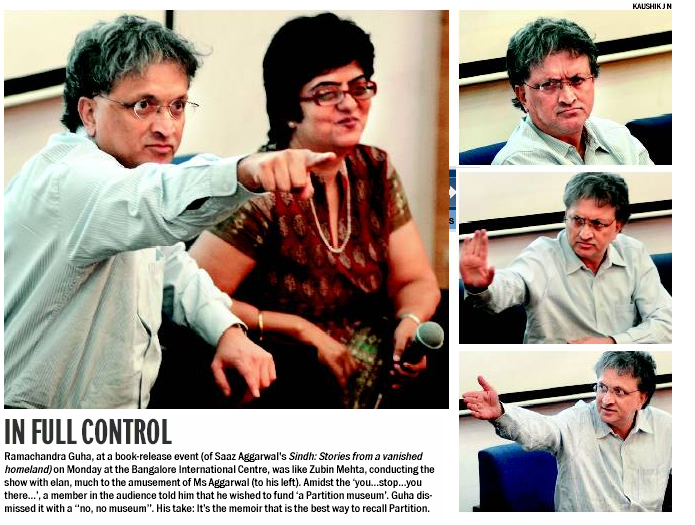 He is not just a poet, but an activist too. It turns out that the innermost thrust of this book is not just self-expression. The innermost thrust of this book is to hold Indian democracy – not just Indian democracy but Indian civilization itself – under a spotlight. What is the fundamental problem we face as a people? With sixty percent of us defecating in the open, could it be, maybe, toilets? Or is it just that old thing we always knew, that the people in charge are irresponsible and crazed, career fascists? Is it that we ourselves are nothing but liars and cheats? Is it just our helplessness against our biology, and sometimes our geography, that makes us all so laughably weak and ridiculous? Are we as different from Pakistan and Nigeria as we would like to believe? Every writer, as CP Surendran observes in this book, is at the mercy of others’ tastes, beholden to how a million others were brought up, the books they read, the schools they went to, the kind of parents they had. How many in that burgeoning marketplace of newcomer readers, browsing bookshelves or surfing top-ten lists, would connect Hadal with the Greek word Hades, the abode of the dead? How many would know, without consulting google, that Hadal also refers to the deepest trenches under the sea? In these trenches, pressure and density and opacity are extreme. Reading this book, it appears that CP Surendran chose this title with the intention of conveying that, though we tend to delude ourselves that we are a great, open people, maybe we are actually hadal. black-and-white fountain celebrates the happy proliferation of the printed word. By the nature of being black and white, it represents the calm, the matter-of-fact, and the unpretentious obvious. black-and-white fountain by Saaz Aggarwal is licensed under a Creative Commons Attribution-No Derivative Works 2.5 India License. 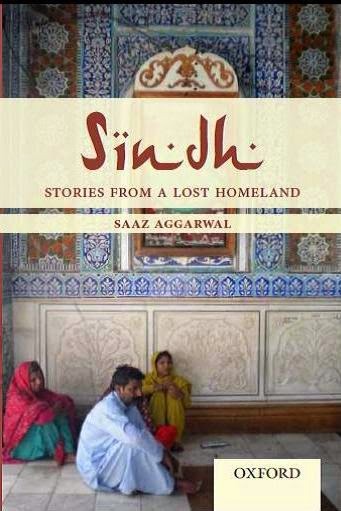 Oxford University Press, Pakistan, published the book as Sindh: Stories from a Lost Homeland and launched it at the Karachi literature festival in February 2013. This paper is named for a verse by the Sindhi poet Prabhu Wafa: "Wherever you find your people, call it home. 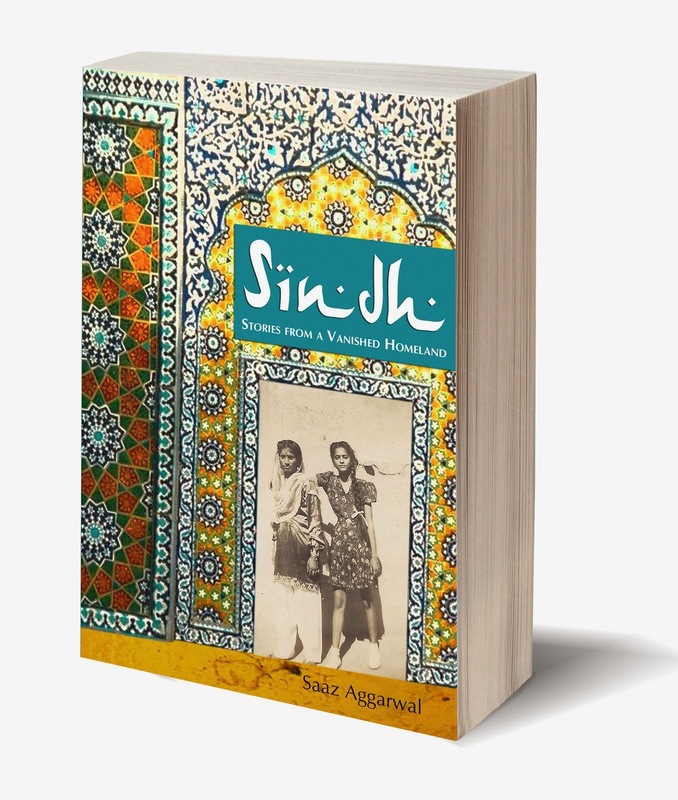 Wherever you find Sindhis, call it your Sindh." 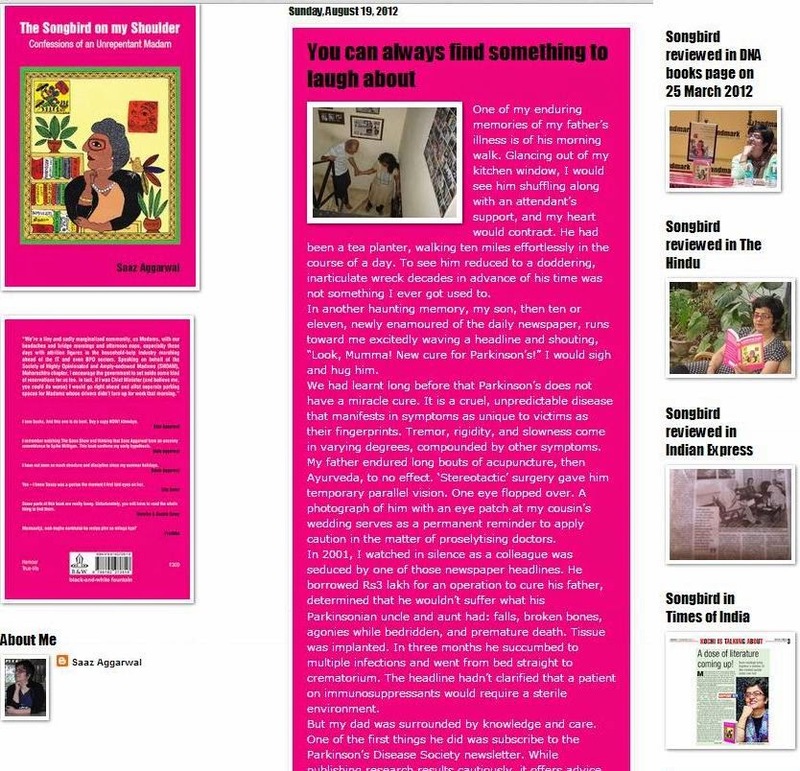 This book comprises short spurts of thought: the worldview of a Madam who lives in Pune, India - the Oxford of the East, the Home of the Shrewsbury Biscuit, and the road-accident fatality-and-brain-damage capital of the world. He became head of his family and business when he was only fifteen. Orphaned at nineteen, rendered homeless by Partition at twenty-one, Satpal Malhotra arrived in Pune in November 1947. 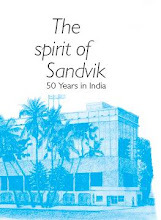 Click this image for a complimentary pdf download of the dramatic and searingly honest autobiography of the founder of the Indian food products company Weikfield.